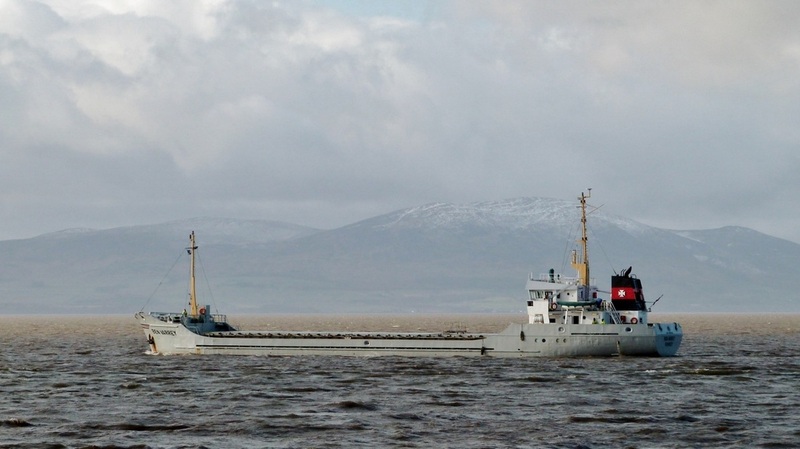 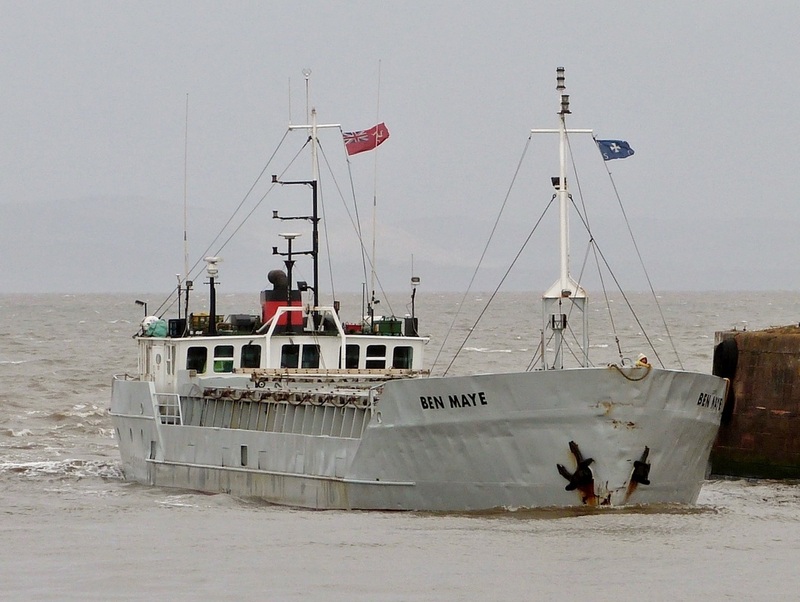 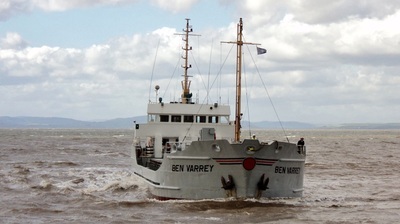 ​The 'Ben Varrey' & 'Maye' were the last two surviving vessels of the fleet to regularly visit Silloth. 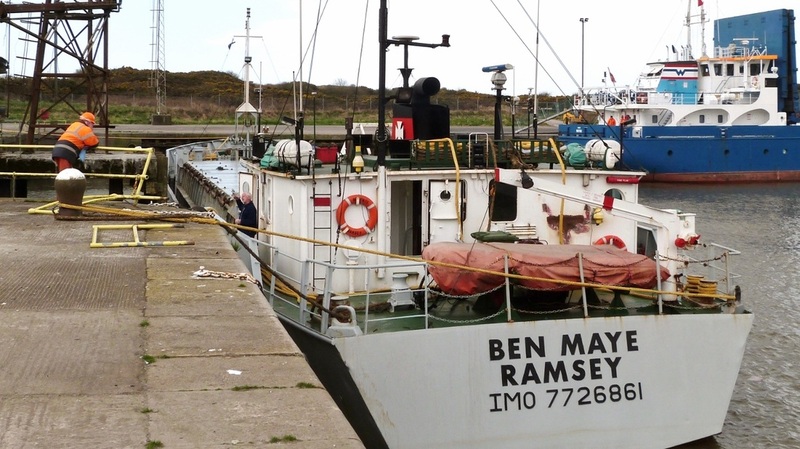 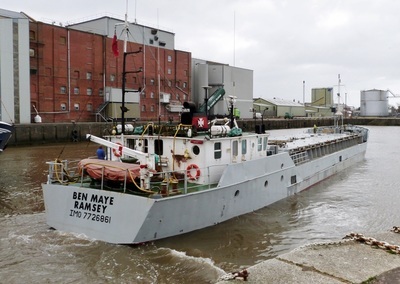 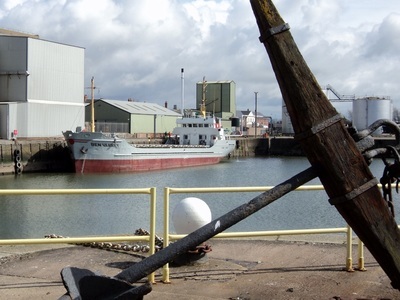 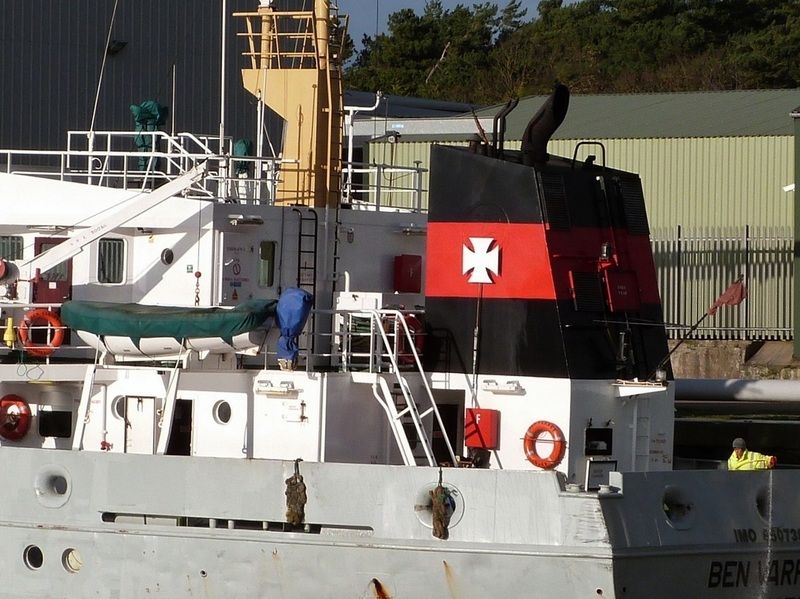 They were owned by the Ramsey Steamship Company until the company was wound up in 2013 when they were acquired by Absolute Shipping Limited of Maidstone. 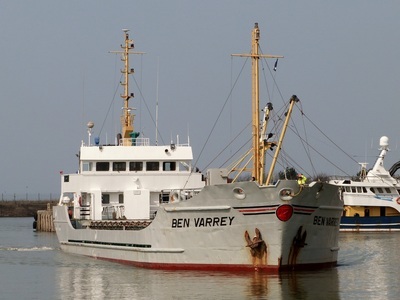 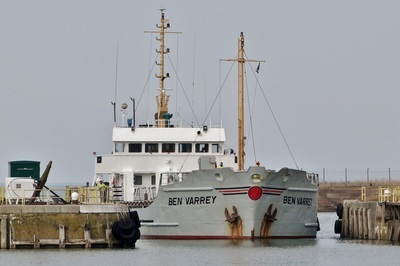 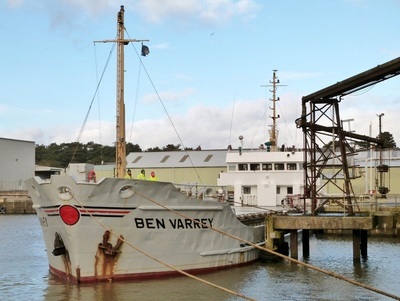 'Ben Varrey' was sold in 2016 to 'Kelcos Ventures' of the Seychelles. 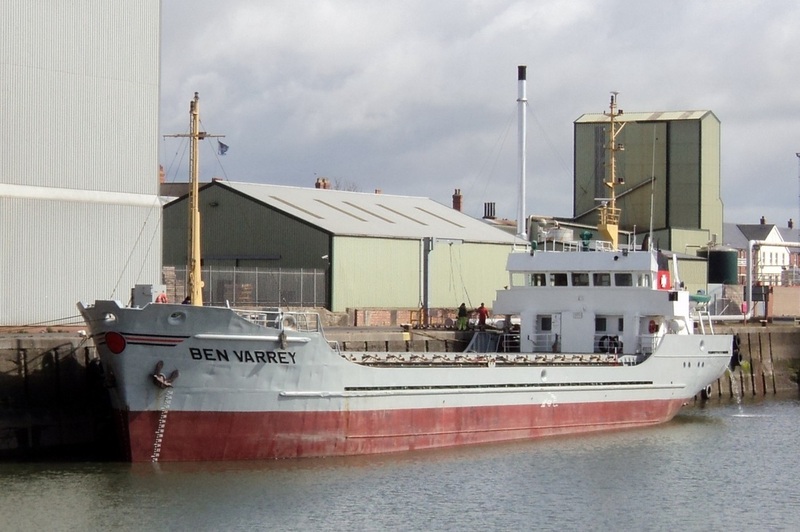 After spending some time in Rotterdam her name was changed to 'Ben Varre' & re-registered in Panama. 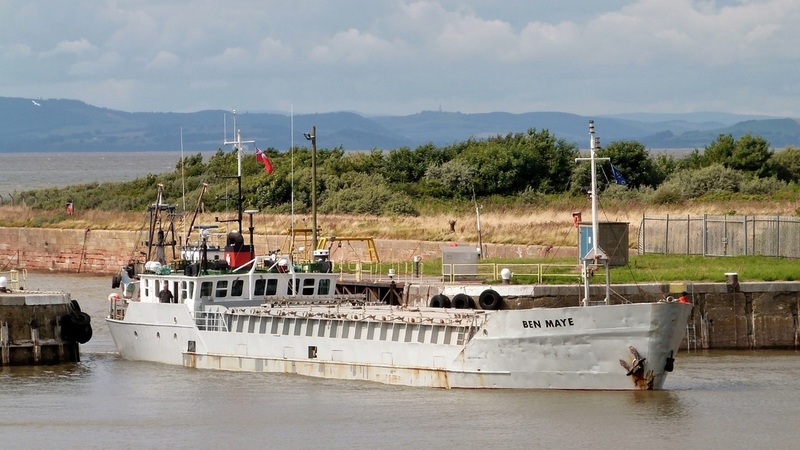 In Aug 2017 she was taken to S.America where she operates off Chile. 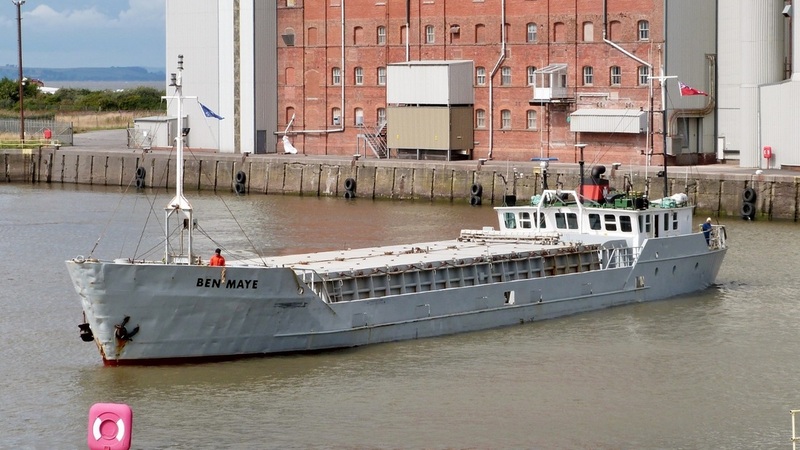 in-active at Rotterdam since Nov 2016. Ramsey Steamship had a long & distinguished history but sadly ran into financial difficulties shortly after celebrating its centenary in 2013. 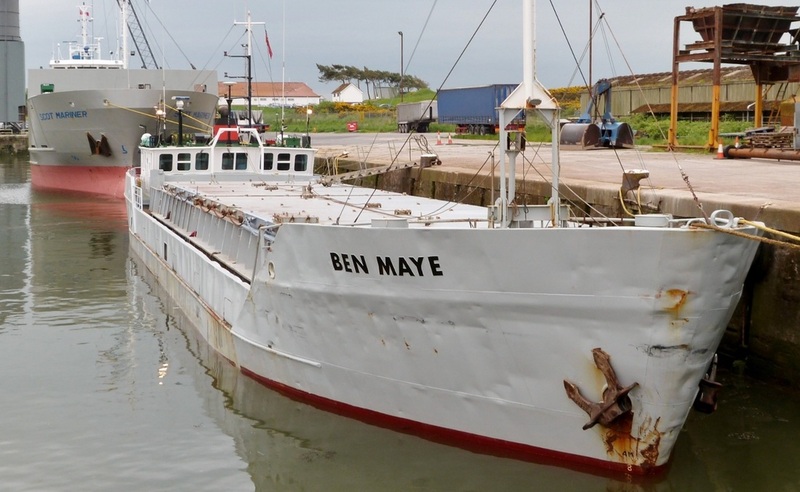 The company began life trading coal and agricultural freights to the small IOM harbours. In the early years traffic was also seen at the Cumbrian ports of Maryport & Whitehaven. The fleet was expanded to several vessels including 'Ben Ain', 'Ellan', 'Rein' & 'Seyr', all of which featured the prominent Maltese Cross funnel marking. 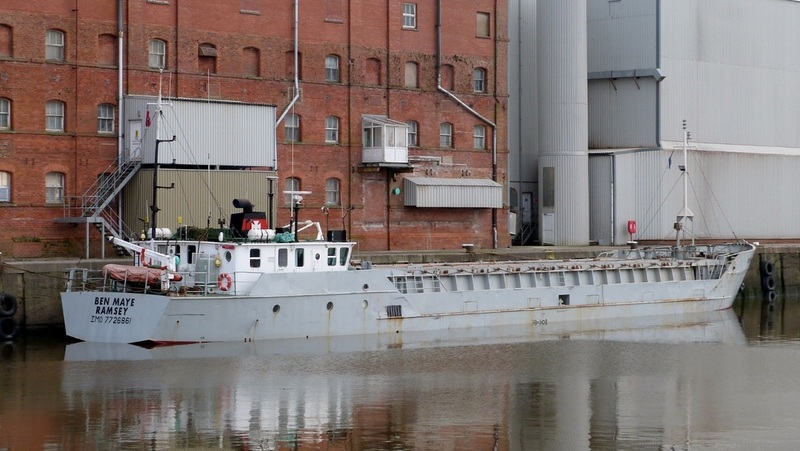 Both the 'Varrey' & 'Maye' regularly delivered grain to Carr's quayside flour mill from Sharpness & Liverpool. Taking a pilot to enter the port is compulsory for ships of more than 50 metres in length. 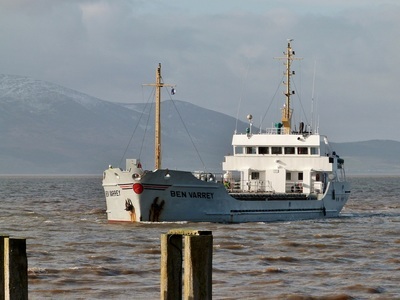 'Ben Varrey' at 63m (Ben Maye 49m) exceeded the limit, however, the regular captain had earned a Pilot Exemption Certificate from the Harbourmaster specifically for entry to Silloth. 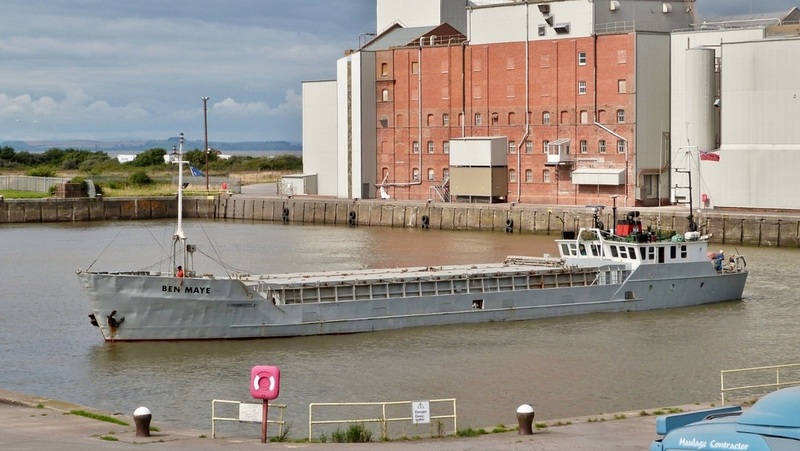 Arrivals were usually uneventful as the fully loaded ships were guided gracefully through the dock entrance by the skipper. 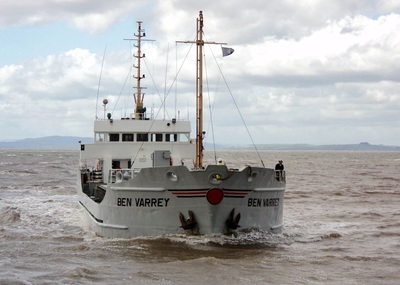 sight of Ben Varrey skilfully manoeuvring with the aid of its anchor was a memorable one. 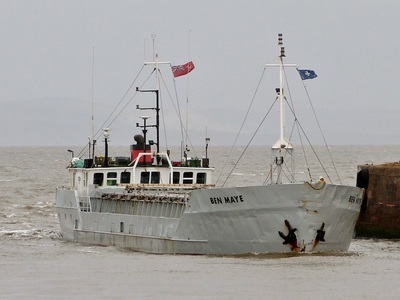 The Filipino crews would appear happy to be arriving back at the port and bystanders were treated to enthusiastic hand waves as they drew alongside. 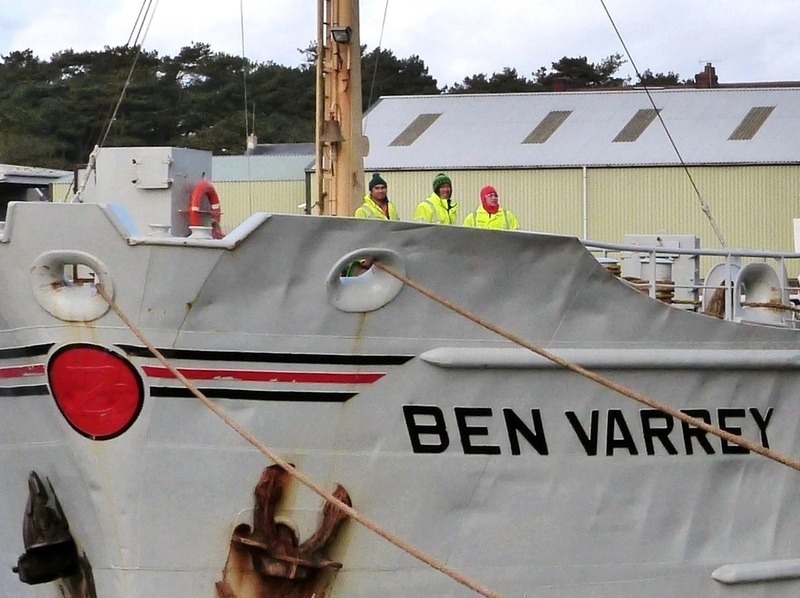 Unusually for ship's crews, they liked their photos being taken and would pose with beaming smiles! 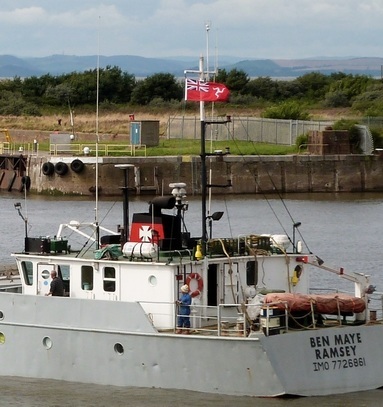 The Manx Ensign and Steamship Company flag were proudly flown by the Ramsey registered ships. 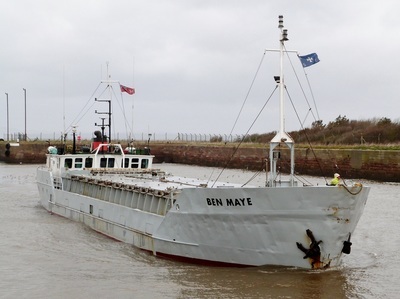 Seen on 'Ben Maye' below. 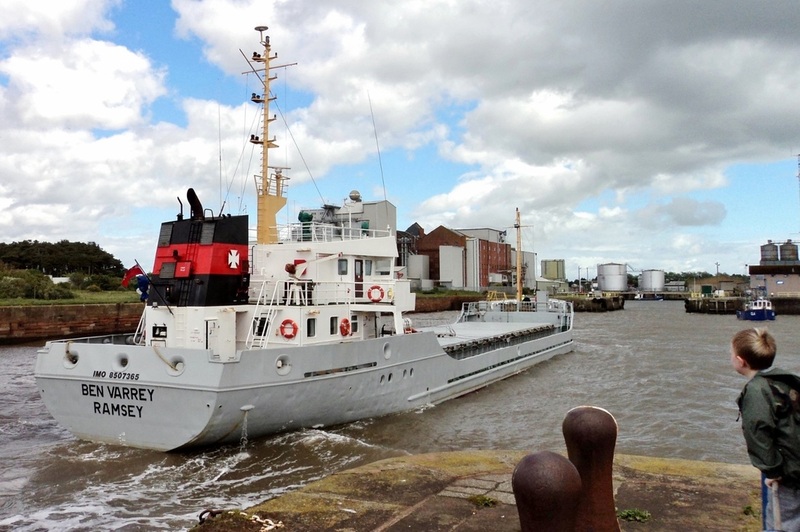 ​ 'Ben Varrey' made her last visit under 'Absolute Shipping ownership in December 2013. 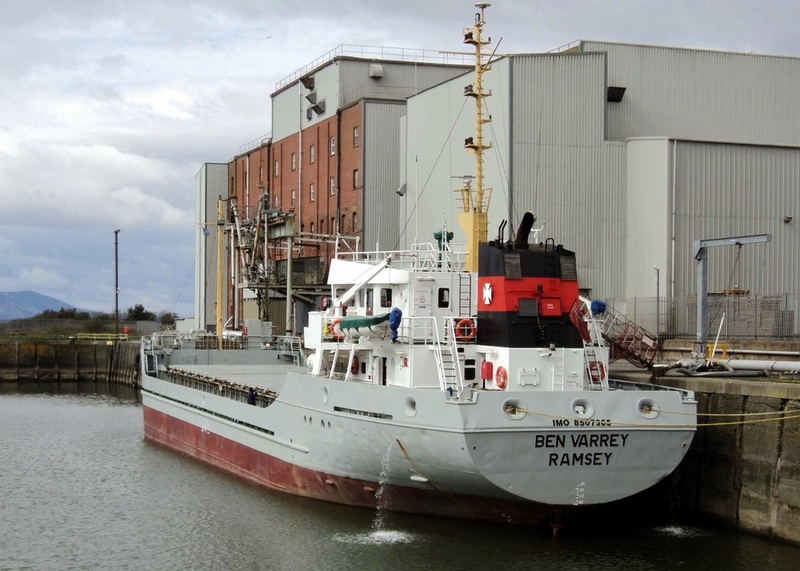 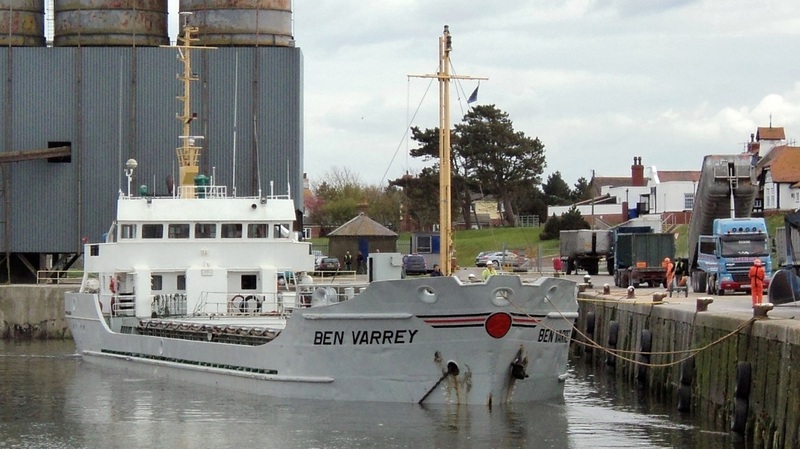 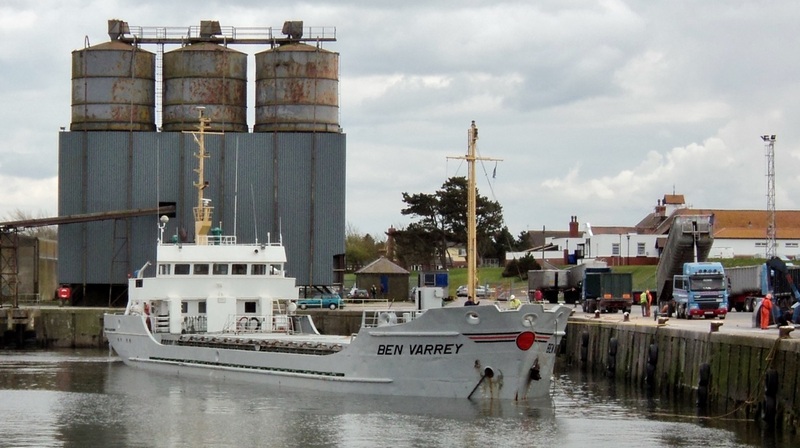 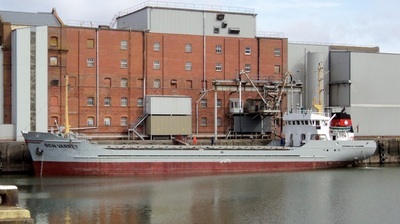 BEN VARREY made regular deliveries of grain from Sharpness in Gloucestershire. 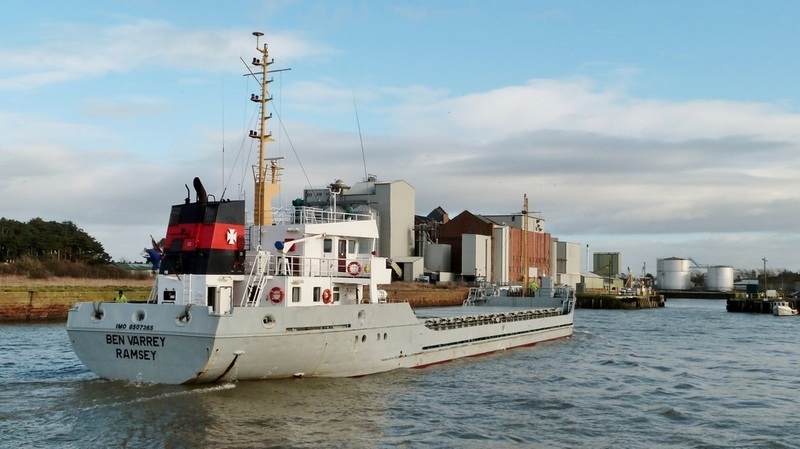 Fellow enthusiast Chris Witts has had the foresight to produce a video of an arrival & departure while she was still under the ownership of the Steamship Company. A fascinating production illustrating the unique estuary approach on the River Severn, passage through the tidal basin and lock, & manoeuvring within the dock. 'Ben Varrey's history has been researched and is presented in the video together with technical details of the equipment aboard. 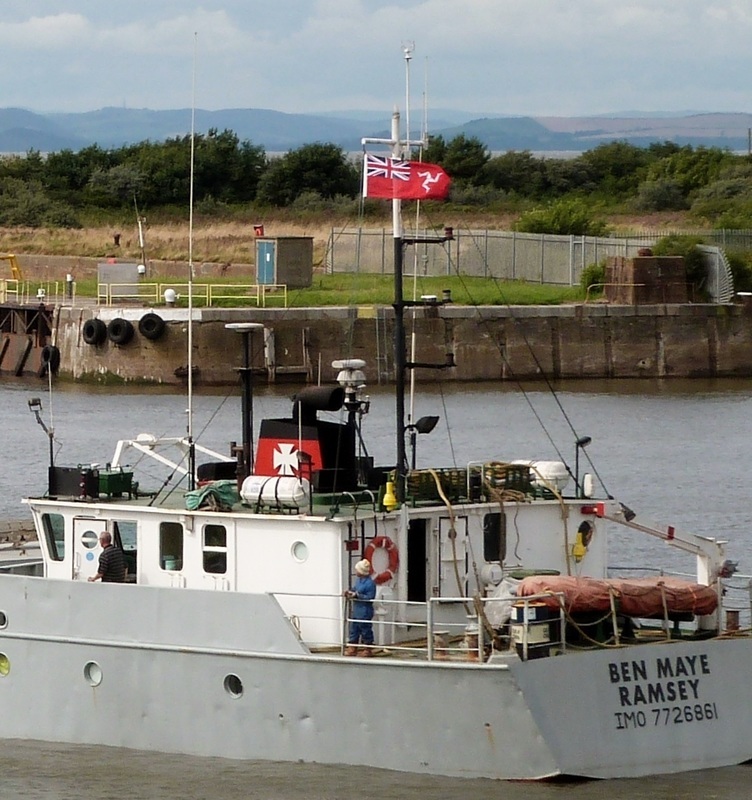 Lots more interesting material shot by Chris covering the River Severn, & further afield can be found on YouTube. Chris is a recognised authority on life along the river, having spent time living & working there. He has written books & has an informative website, SevernTales, well worth a look, especially for anyone intending to visit the area. 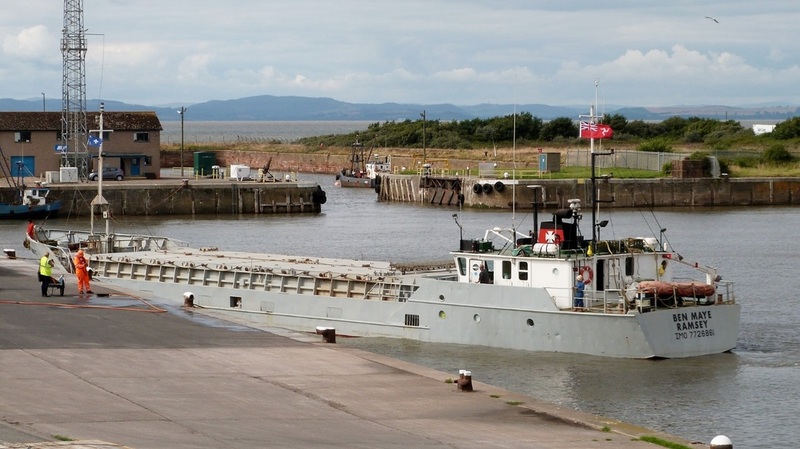 In August 2009 Silloth Docks reached its 150 birthday. As part of the celebrations the docks were open to the public over the weekend of the 8th & 9th. 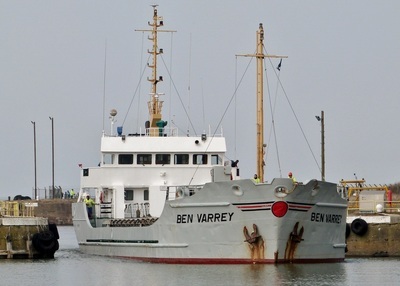 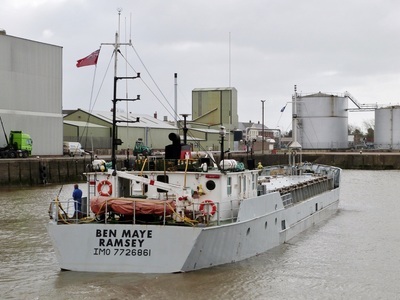 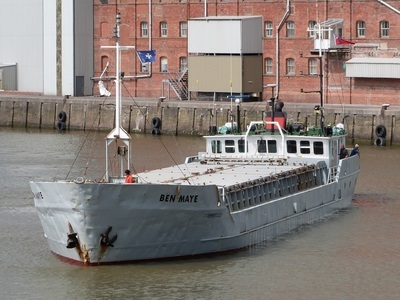 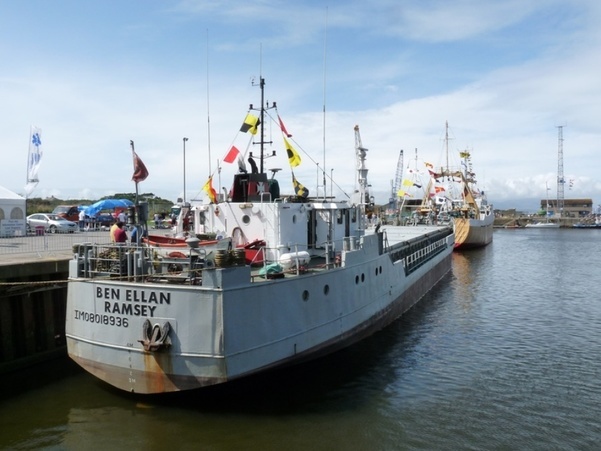 It was appropriate that BEN ELLAN was there to represent the Ben fleet, A quayside photo of her, suitably decked out, has been provided courtesy of Solway Shipping. 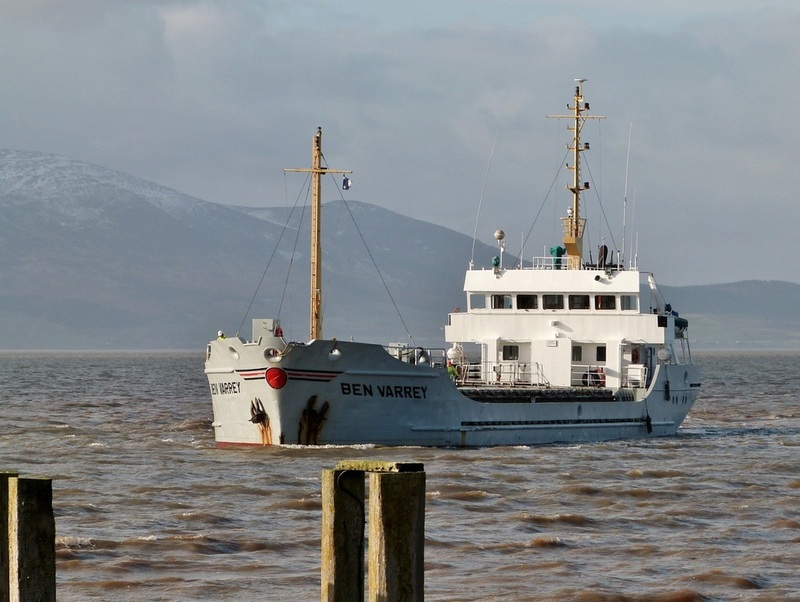 The event was a great success attracting large crowds. 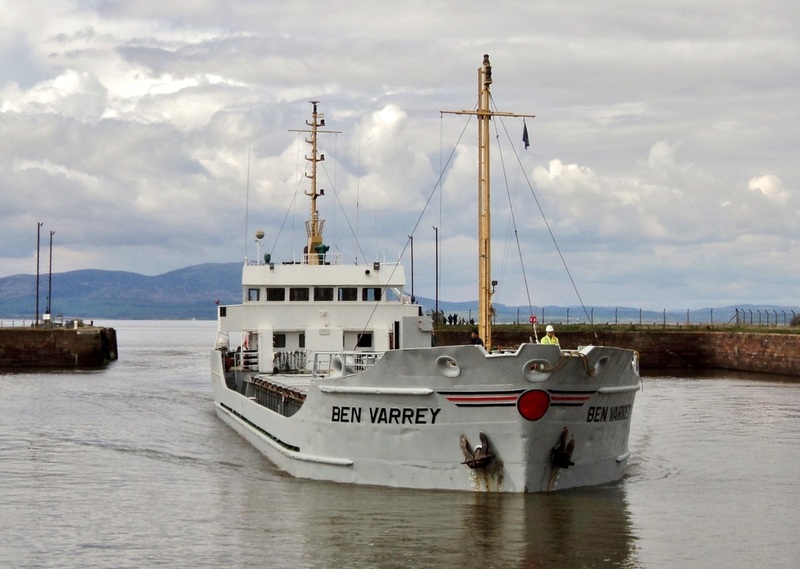 Vessels on view included visiting heritage vessels, the fishing protection launch 'Solway Protector', Border Agencies patrol cutter 'Sentinel' and general cargo vessel 'Atlantica Hav'. 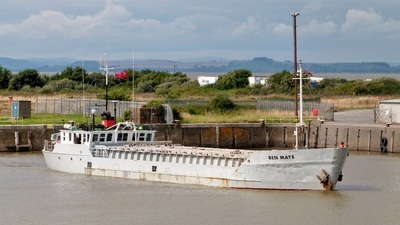 Looking somewhat dented in comparison to the pristine 'Scot Mariner' in the background. 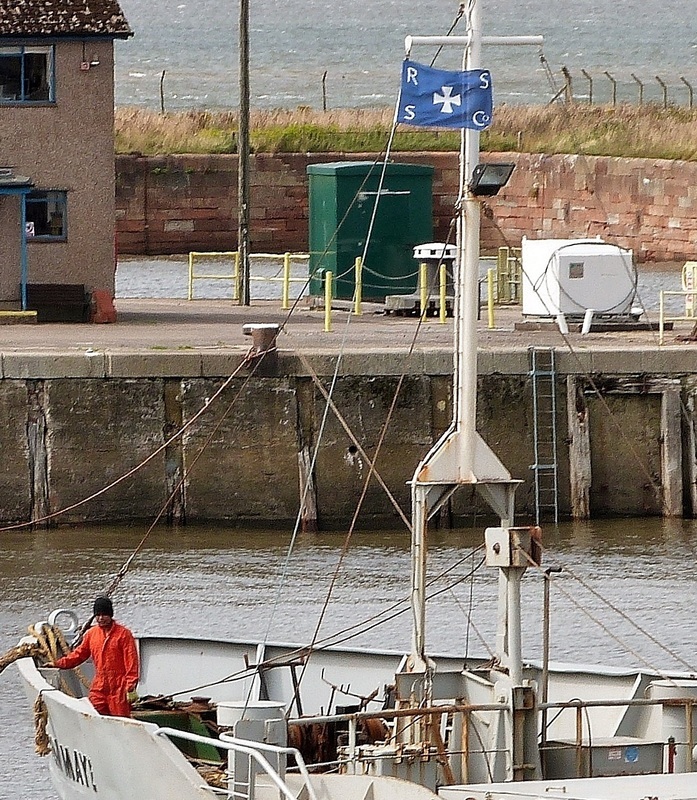 After being safely moored on the east quay the skipper enjoys a chat with dock staff. Meanwhile 'Wilson Almeria' can be seen unloading. 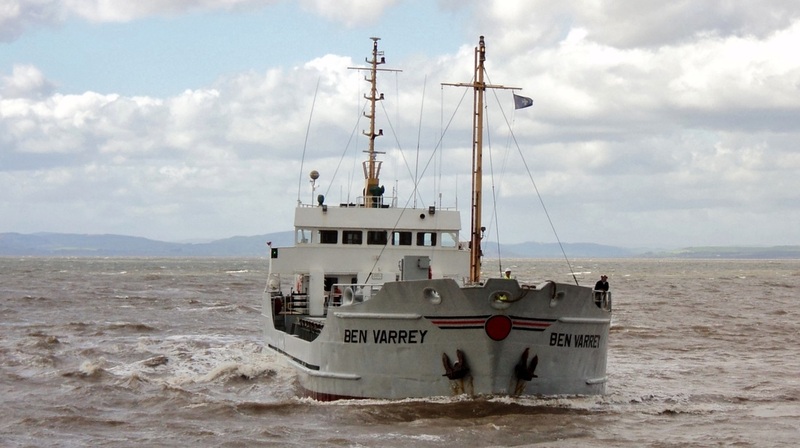 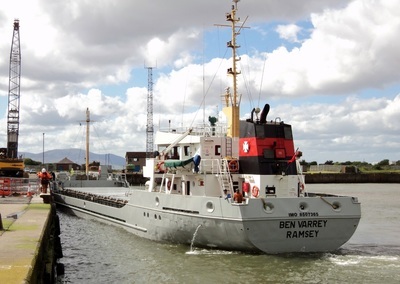 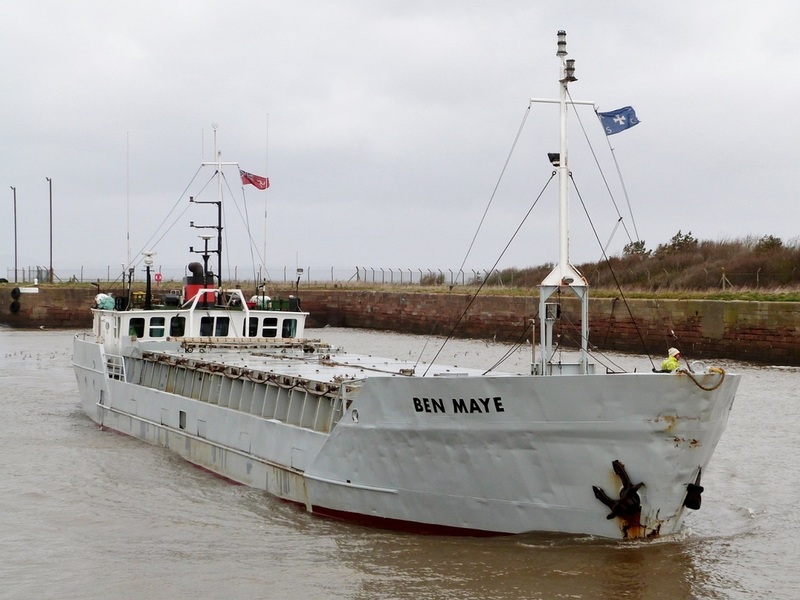 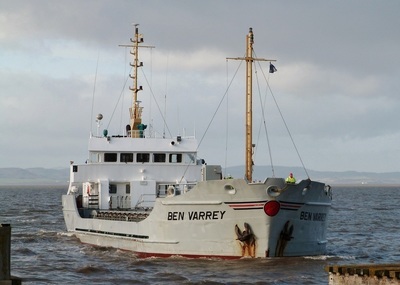 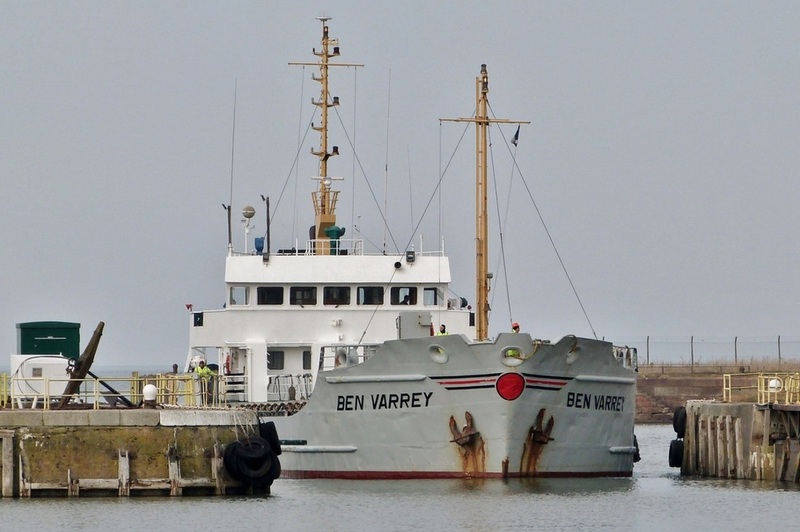 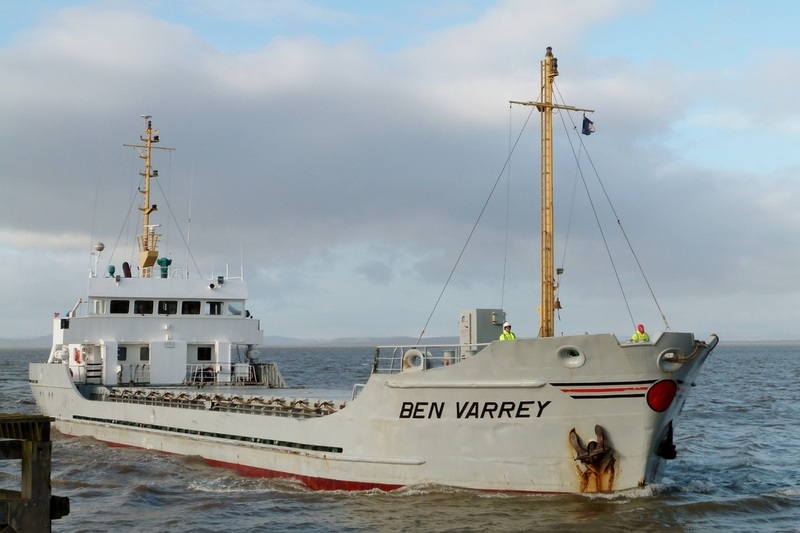 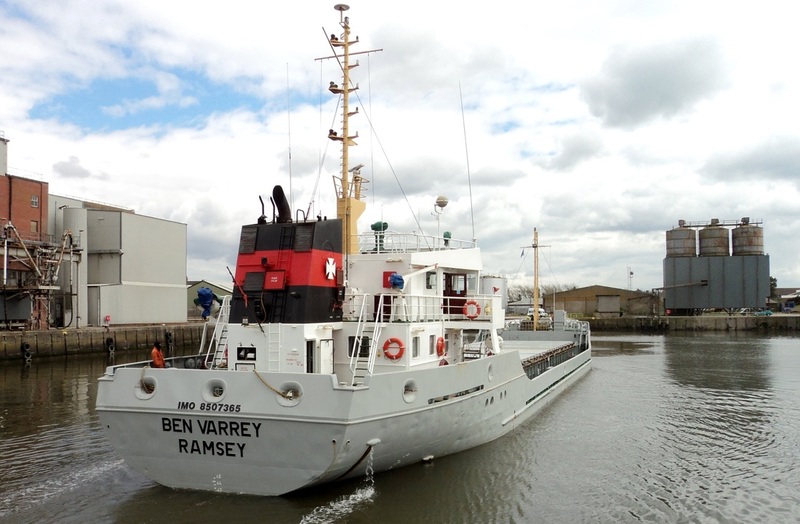 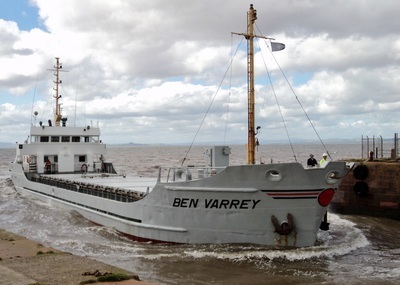 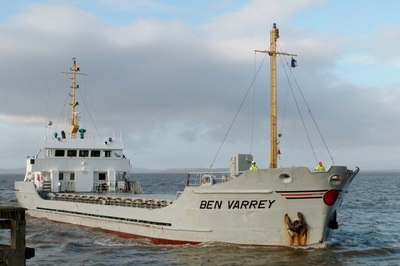 BEN VARREY inbound from Sharpness, 11th Apr 2013. 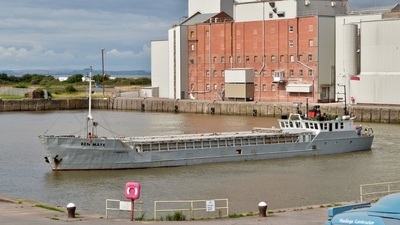 A textbook entrance into the dock as viewed from the east quay. Temporarily berthed on the east quay to await her turn to unload. 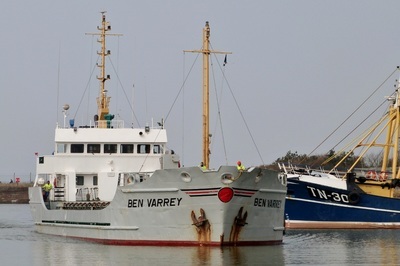 A busy quayside reception party eager to get started on the cargo.